Mutiny on the Bounty descendants will soon lose control of their island. 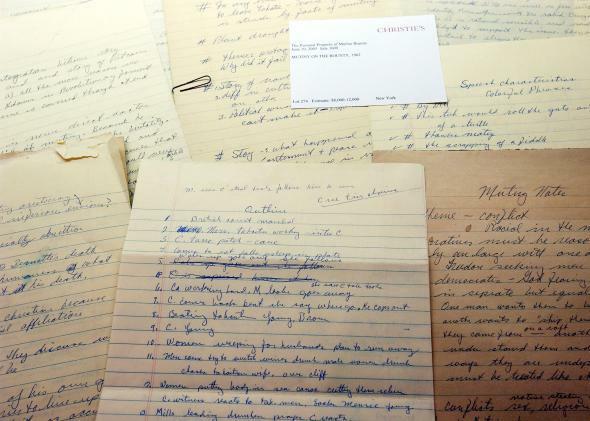 Hand-written script notes from Mutiny on the Bounty scrawled by Marlon Brando. Brando, Clark Gable, and a startlingly young Mel Gibson each played the leader of the mutiny in different movie versions depicting the event. The Gibson one is pretty bad. Although the move is obviously a blow for the island’s autonomy, it won’t necessarily encroach upon the residents’ customs and traditions. (About half of the current population is descended from the Pitcairn settlers.) In exchange for paying income and business taxes, the island’s inhabitants will now receive welfare benefits and much-needed infrastructure aid. That sounds like a reasonable trade-off—but thus far, residents seem to oppose it. Perhaps they inherited some of their ancestors’ rebellious spirit.